We have passion for handicraft and home decor. We love creating positive emotions through our beautiful handmade items. 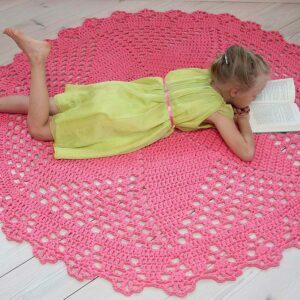 Crochet rugs, baskets and other home decor items make your home feel warm and cosy – they give your home that extra something. With different patterns, shapes and colours, you can personalise any space to suit your style. Every item is unique and made in limited quantities only. 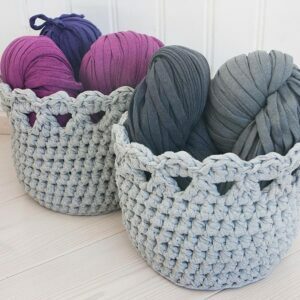 Our pruducts are crocheted mostly from cotton yarn and are therefore easy to maintain, durable and skin friendly. 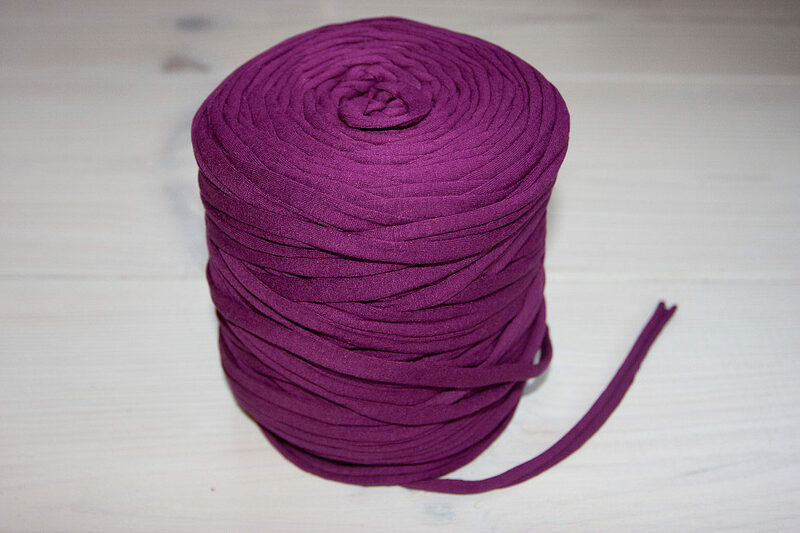 This material is even, 1 cm wide and is made in local factory in certain colors. Washing by hand or in washing machine: washing programme for delicate fabrics at 30-40 C. Dry flat, stretch when wet. For easy shaping, you can iron on reverse side. It may shrink during the first wash about 10%. 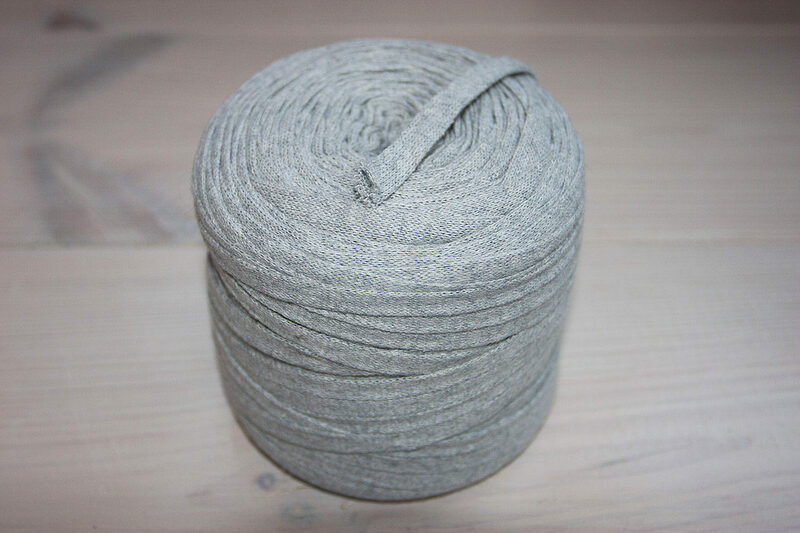 T-shirt yarn – made from 100% recycle (remnants of garment manufacturing) fibres. Material: cotton, may contain 3-5 % elastane. Washing in washing machine at 40 C. Dry flat, stretch when wet. For easy shaping, you can iron on reverse side.